For many yogis, the journey with the practice involves much more than achieving difficult poses. A very important part of the journey, one that if often much more difficult, is the work we do on ourselves. Self love is the total acceptance of oneself just as we are. It can be incredibly challenging to accept and love oneself when we are constantly bombarded by images of “perfect bodies,” depictions of the “perfect life,” and a general illusion of perfection on social media. However, a lack of self love can be much more deep-rooted than comparing oneself to people on Instagram. We all carry with us baggage from childhood, stories that made us feel less than. Many of us were made to feel unworthy of love or simply didn't have self-love modeled for us as children. Whatever the reason that you’re doubting yourself, using mudras and practicing meditation can help to quiet the self-doubting noise and cultivate a confidence and love for yourself. This mudra is the gesture for confidence. Lacking confidence in yourself is directly related to your ability to embrace self-love. Doubting your abilities, your worth, your voice, or having any doubt that you are enough just the way you are denotes a lack of confidence. To perform this mudra: Interlace the fingers just to the first knuckle. With the thumbs facing up, lay the hands flat on the space above your heart, just under the collarbone. Sit in a comfortable seat and breathe into this space for a few nice deep breaths. If it helps you, use a mantra such as “I am confident” as you breathe. Perhaps your inability to love yourself is due in part to the overwhelming negative energy in your life. Perhaps it is toxic people, an unhealthy relationship, or a negative work environment. Existing in a negative space can wreak havoc on your own energy, leaving you depleted, unhappy, and unloving to yourself and others. To perform the mudra: curl the middle two fingers down toward the palm on one hand. Use the thumb to hold down the folded middle fingers. Hold your hand at about shoulder height with the palm facing away from you. Hold this mudra while you meditate and envision yourself warding off evil and negativity. This is the ultimate mudra for creating peace and loving kindness around you. It is connected to the heart chakra, the energy center in your body responsible for giving and receiving love. 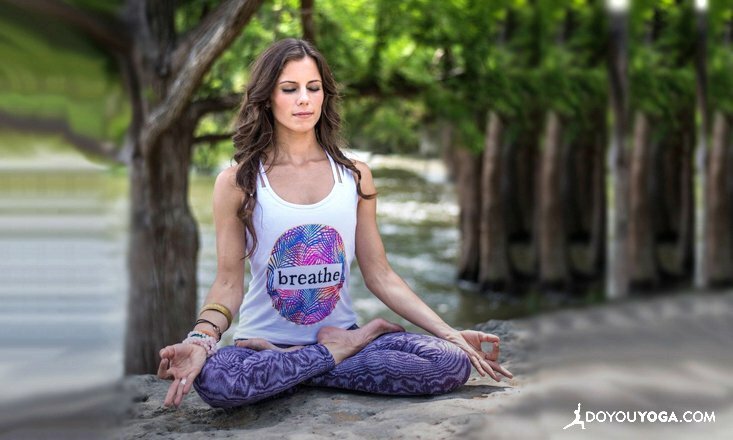 When this love needs to be directed at you, this simple mudra is ideal. 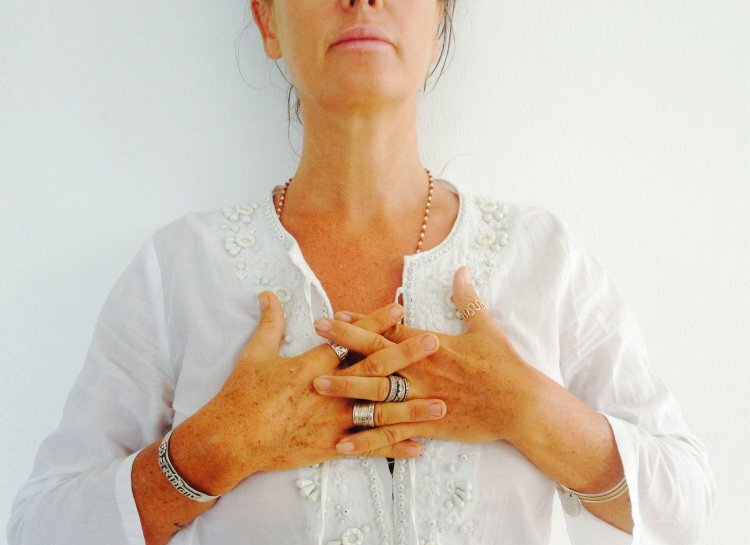 To perform the mudra: bring the pointer finger and thumb to touch and form a ring. Place the hands palms facing up on your knees as you sit in meditation. With palms open, you are in a gesture of receptivity allowing love to enter your body, mind, and spirit. Sometimes you just need a reminder that you are enough right now, without any acceptation. If you have trouble believing that, I encourage you to make a list of all the things that you love and value about yourself. You can start by writing down one thing each night before you go to bed. Once you’ve started to build a list, sit in your meditation with the mantra "I am enough". Repeat the words as you inhale and exhale. Self-doubt or lack of confidence can manifest based on patterns of negative thoughts. Do you have a stream of thoughts that pop up daily and make you doubt your self-worth? Maybe it’s thoughts about your physical body, your intelligence, or your potential for happiness. Whatever it is that’s keeping your from loving yourself, start to notice these thoughts. Next time they start to crop up, consciously STOP what you are doing and observe. Notice how the thoughts make your body feel. Consciously feel these thoughts, and just as consciously, take a series of deep, cleansing breaths. Try the mantra "I am not my thoughts" as you breathe. We often have so much love and compassion to share but fail to give the same to ourselves. For this meditation, consider all of the well wishes you would send to a friend who is struggling, then turn those thoughts to yourself. As you breathe in meditation, name the gifts you wish you send yourself. For example: "I send you happiness. I send you unconditional love. I send you confidence. I send you peace." Self-love is not something we can achieve over night. A lack of love is based on long-standing feelings of doubt that take time to unlearn. Pretending the negative self thoughts don't exist will not serve to rid you of them. Rather, we need to understand these thought patterns, and notice why and when they occur. This is not easy work, but it is necessary work. We all deserve to live in a state of contentment and peace, and you are no exception!